Twelve months after their surprise appearance at Dig It Up! Sydney (appearing under the name Kids In Dust) AND with a hugely received national tour as special guests to Elvis Costello under their belt PLUS a performance at Victoria’s Meredith Music Festival, SUNNYBOYS – the Gold Coast’s favourite sons (move over Mick and Joel) – will appear under their original moniker as they finally stage a homecoming via two special nights at the Coolangatta Hotel: Friday 24th & Sat 25th May. The Coolangatta shows will be the first ]hometown’ appearance of the original line-up of Sunnyboys since 1991 and will serve as the yin to the yang of the band’s performance the following week at Sydney’s Vivid Festival where, on June 2nd, they will headline the Concert Hall of the iconic Sydney Opera House. That’s a long way from their debut show as support to Sydney outfit Lipstick Killers at Chequers Nightclub on August 15th 1980. 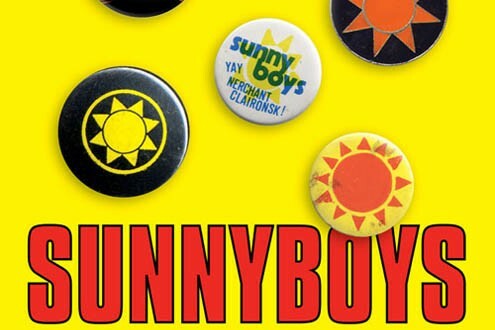 Most recently the Sunnyboys eponymous debut album was listed as no.3 on the all-time greatest Australian Albums list (behind Midnight Oil and Cold Chisel) as voted by listeners of ABC Coast-FM. The same album is listed no.37 in the book 100 Best Australian Albums. Currently that album is being prepared for deluxe reissue later in 2013. Happy Man, Alone With You, Tunnel Of Love, You Need A Friend, Show Me Some Discipline, Love In A Box – the songs of the Sunnyboys are timeless. Always fresh and always fun. Don’t miss what has been a long time coming: Sunnyboys live @ Coolangatta. Tickets on-sale Wednesday 24th April.